It’s not just cyber jobs. Col. Todd Turner needs plumbers. 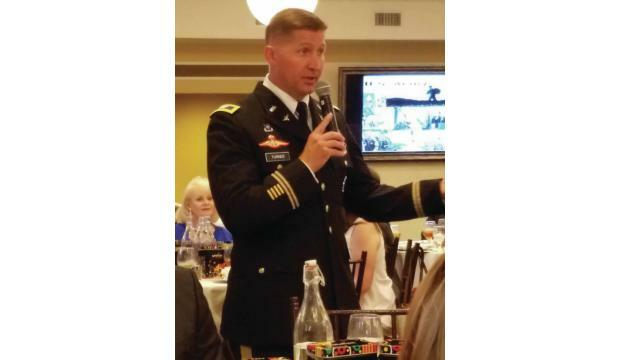 Fort Gordon’s garrison commander said Tuesday that the projected growth of the U.S. Army Cyber Center of Excellence will touch several areas of business and economic growth. The Fort Gordon Cyber District is the name economic development officials have coined to help promote the Augusta area as a vibrant cybersecurity hub. But accommodating that growth takes new or improved infrastructure, and Turner drew laughs from the audience when he asked, “Anybody looking for a job in public works? Turner currently oversees 68 major infrastructure projects related to the Cyber Command. Of the 70 positions in his public works section, only 54 are staffed. “I cannot hire enough engineers, architects. If you know someone who needs a job, come talk to me,” he said. Fort Gordon’s cyber growth has climbed steadily since the National Security Agency introduced an initial workforce of about 50 people at the fort in 1994. Spouses and families often accompany new workers, and that opens doors of opportunity for more business and economic growth. Spouses of incoming cyber-affiliated military also can seize professional opportunities. Turner’s wife, for example, is a neonatal nurse practitioner at University Hospital. Turner said Fort Gordon has development plans for facilities to be built through 2025 and beyond. In the past 10 years, the U.S. Department of Defense and the National Security Agency has invested $1.2 billion in construction at the fort.